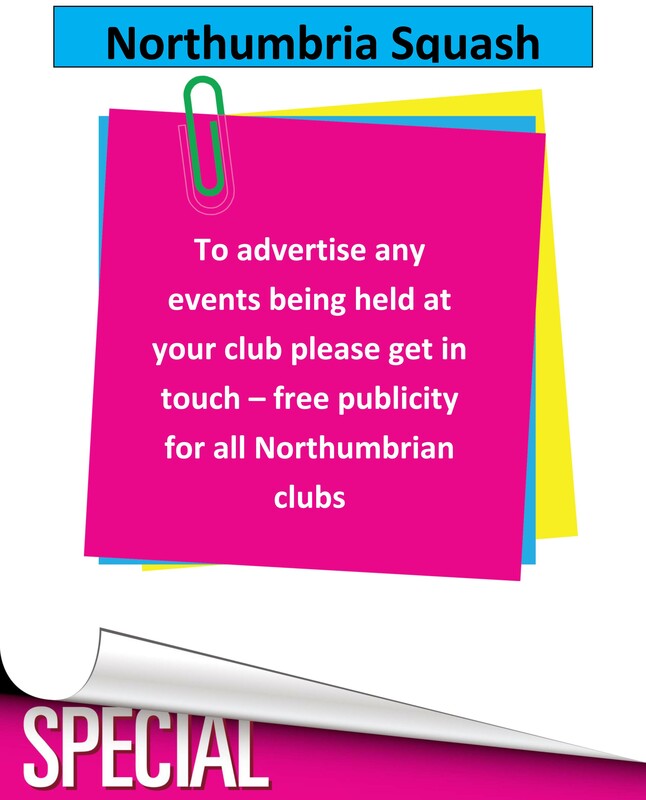 The region will be welcoming top professional squash players from around the world when the Northumbria Open takes place at The Northumberland Club, 25th – 30th March, 2014. 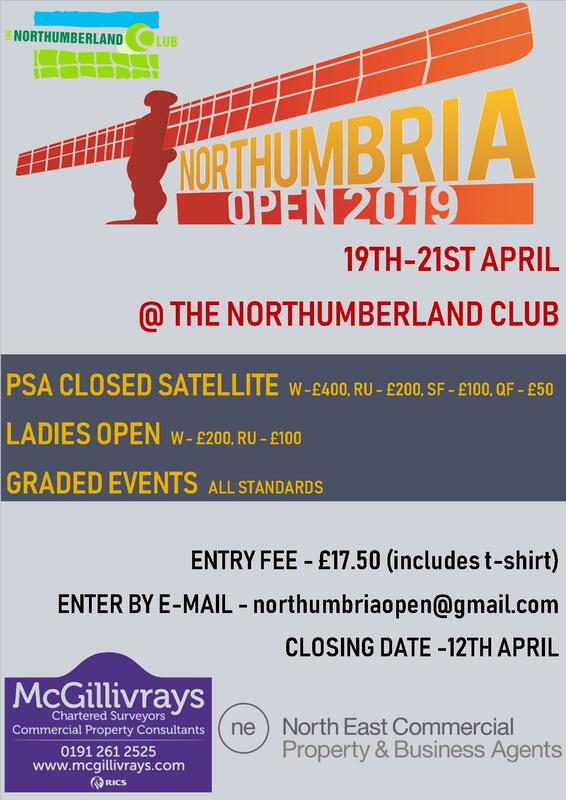 The Northumbria Open is a $5000 PSA Challenger 5 event, and provides valuable world ranking points, and also an opportunity for the best Northumbrian senior and junior players to pit their wits against world ranked players! Here is a taste of what is to come from Peter Creed (wr88) when he competes for the title of Northumbria Open 2014 Champion! Running alongside the professional tournament will also be a Ladies Open, and a Full Graded Event, 28th – 30th March 2014. For further information, and details of how to enter these events, please visit here. Please note the finals will be a ticketed event, and available to purchase very soon. We look forward to seeing you!